My sister shared this recipe with me a few years ago, and I love making these in the spring and summer! Yummy recipes to go along with steaks, chicken, or sausages! Mix together in large bowl. Double wrap in foil twice with Pam in the bottom. 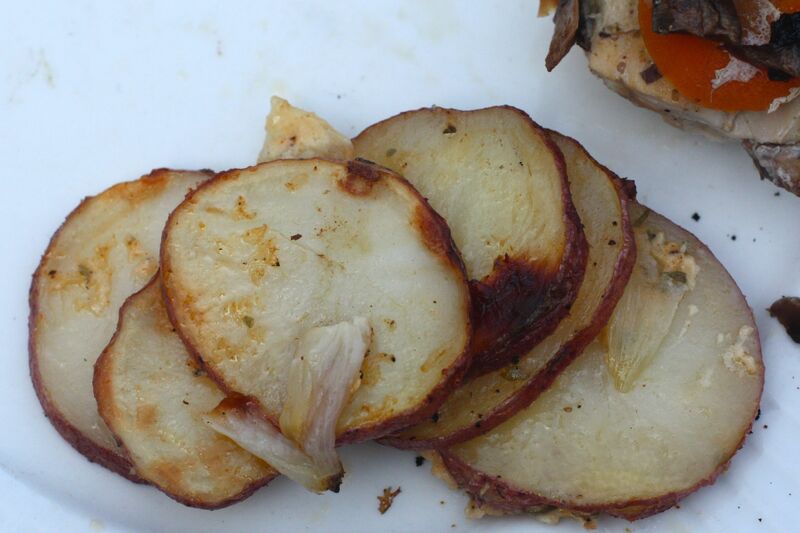 * Cook on the BBQ on medium heat 30-35 minutes, until potatoes are tender. *I like to wrap them in individual-sized portions. Then each person can unwrap their own serving! This is a great recipe, my boyfriend would love them!